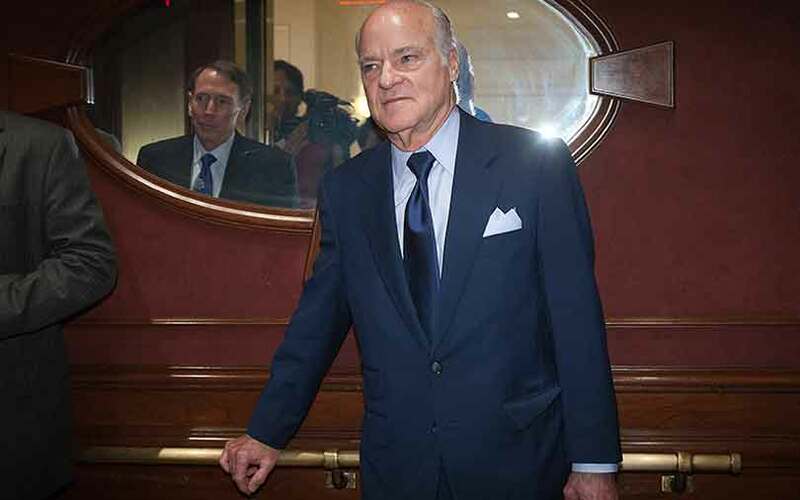 KKR & Co LP said on Thursday its second-quarter after-tax profit almost quadrupled to a record, as the private equity firm marked up the value of several of its investments to reflect their strong performance amid a market rally. The strong earnings follow a surge in KKR's own stock, which has risen more than 60 percent in the last 18 months. Activist hedge fund ValueAct Capital LP disclosed a stake of close to 5 percent in KKR in April, arguing the stock is still undervalued. KKR said that after-tax economic net income, which takes into account mark-to-market gains or losses in its investment portfolio, came in at 89 cents per share, up from 23 cents per share a year ago and more than the 67 cents per share that analysts on average forecast in a Thomson Reuters poll. The value of KKR's private equity funds rose 7.3 percent in the second quarter, while some of its credit funds, as well as it own investments funded by its balance sheet, also saw gains. By comparison, peer Blackstone Group LP (BX.N) last week disclosed a 2.8 percent appreciation in its private equity funds in the quarter. Nevertheless, after-tax distributable earnings, representing actual cash available to pay dividends, dropped 37 percent to $321.9 million, as asset sales slowed down. KKR declared a second-quarter dividend of 17 cents per share, in line with its fixed cash distribution policy. KKR's assets under management reached $148.5 billion as of the end of June 30, 2017, an increase of $10.9 billion from the end of March. During the quarter, KKR completed raising the biggest private equity fund ever to be launched in Asia, amassing $9.3 billion. Earlier this month, KKR appointed two of its veteran dealmakers, Joseph Bae and Scott Nuttall, as co-presidents and co-chief operating officers, setting them up as its future leaders. The move represented the biggest shakeup in the 41-year-old firm's history since KKR's other co-founder, Jerome Kohlberg Jr, left it in 1987. It positions Bae and Nuttall to take over from Henry Kravis and George Roberts when the 73-year-old co-founders and co-chief executives of KKR decide to step down.